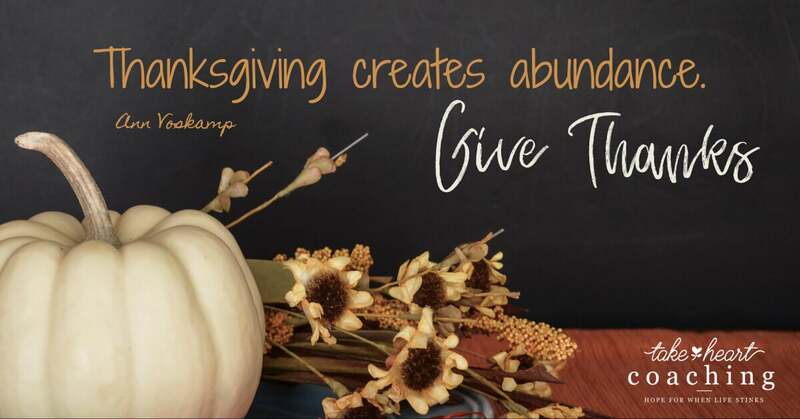 The practice of giving thanks can impact your entire life. Scripture tells us in 1 Timothy 4:4 “For everything God created is good, and nothing is to be rejected if it is received with thanksgiving,” Learning to receive everything with thanksgiving is difficult but very important. While caring for my dad I found gratitude to be a VERY IMPORTANT part of my daily life. A few years ago I found myself struggling with the demands of caregiving and frustrated with the decline in my dad’s ability. One day while doing some yard work dad got his shoes extremely muddy. I had him take them off, then I took them to another room and left them there while I went to get a clean pair. In just the few minutes I was gone he found the muddy shoes, put them on and walked around on the carpet. Seriously, you have got to be kidding me, I thought. Needless to say, I was very frustrated. I had noticed in the last month it was becoming increasingly more difficult to enjoy the time I have with him. My patience seemed to be running thin. As I stepped back to examine this, explore why and pray about how to change it, the muddy shoes happened. My dad’s ability to understand and be helpful had significantly declined. Yes, that is what Alzheimer’s is, a disease of decline. But like all things that change gradually we often don’t see the change until something happens, that calls our attention to it. So yes, he has changed. Now how do I adjust? Focusing on being present with my dad and not allowing the heartache of what he could no longer do affect my time with him was a step in the right direction. In order to do that I had to focus on where he was now, not what he was. I was able to do this pretty well early one but it became more challenging as those things which he could do became more limited each day. That meant it was time to shift again. This shift involved learning more about Gratitude. Gratitude, I learned was a powerful tool in my caregiver’s toolbox. Focusing on being Thankful is what I found that made all the difference. I had to move into being grateful for him and the time with him. Not because of what he can or can’t do but for the amazing person he is and was. The key to having gratitude make an impact on your life is to truly stay focused on what you have right here and now. It is so easy to look at a situation and fall into the land of comparison in order to find things to be thankful for. True gratitude is focused on what you have in that moment. As I learned to immersed myself in gratitude I found more peace in the moments of life with dad. I am so thankful God has shown me how gratitude makes life better. Of course, Dad’s abilities never improved but my heart of gratitude helped me to handle it with more love, grace, and peace than I ever imagined. How can gratitude help you handle your role as a caregiver better?